We hope you all had a fantastic Christmas and are getting ready for a cracking New Year. To start 2015 with bang, Opie Oils are giving Free UK Mainland Shipping on all order over £35. Some Scottish post codes and out of area deliveries are not included, however we have created the voucher code ISLANDS to reduce the delivery to these areas by £5 (order will need to be over £35). Happy New Year from us all at Opie Oils. Opie Oils are kick starting 2015 by Extending Free UK Mainland Shipping on all orders over £35 until midnight Sunday 4th January. - Millers Oils CFS Engine Oils - Free 1 litre with every 5 litre of 5w-40, 10w-50 & 10w-60 purchased giving a saving of £11.99! As always, our expert advice is free. If you need help you can call us on 01209 202944 Mon - Fri 8.30am - 5.30pm, email us at sales@opieoils.co.uk, or just ask here. 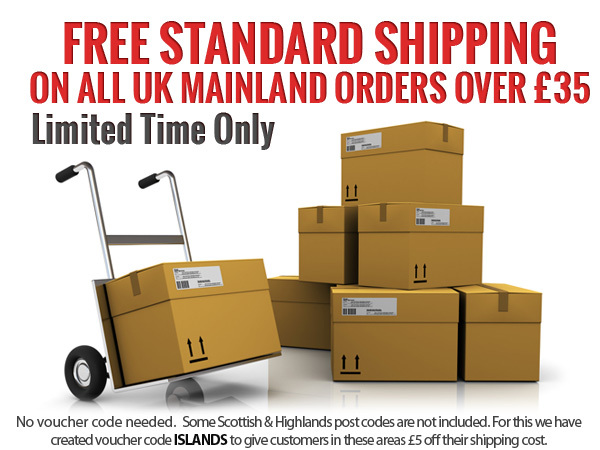 Please note: Some Scottish post codes and out of area deliveries are not included, however we have created the voucher code ISLANDS to reduce the delivery to these areas by £5 (order will need to be over £35).